Add Disney & Universal Combo Ticket for £400pp! 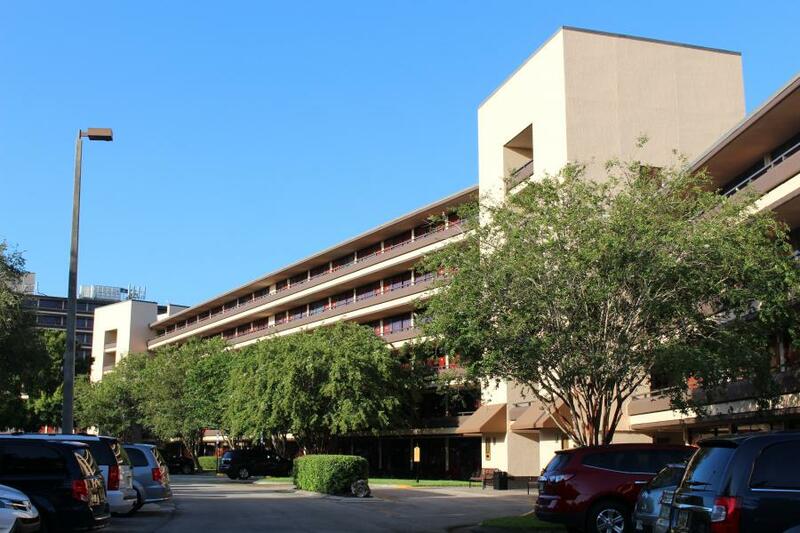 Perfect location on International Drive, over the street from Pointe Orlando shopping and entertainment centre. 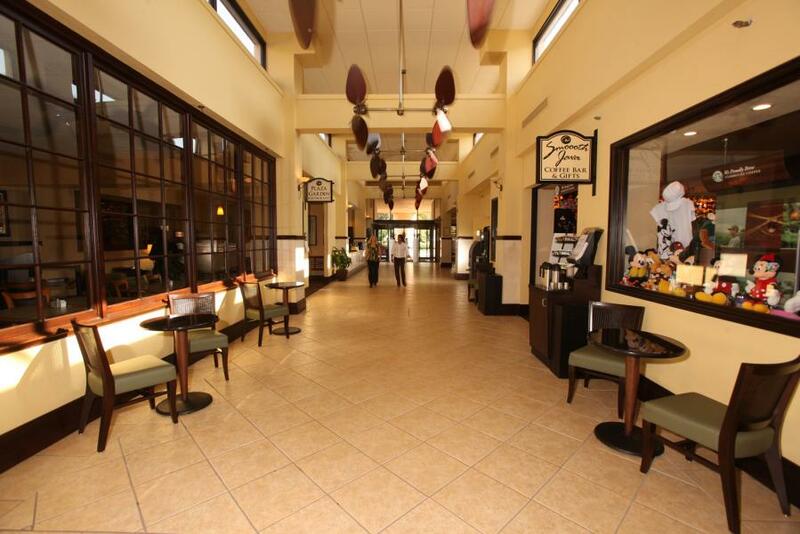 Two on-site restaurants, coffee bar, mini-market and deli. 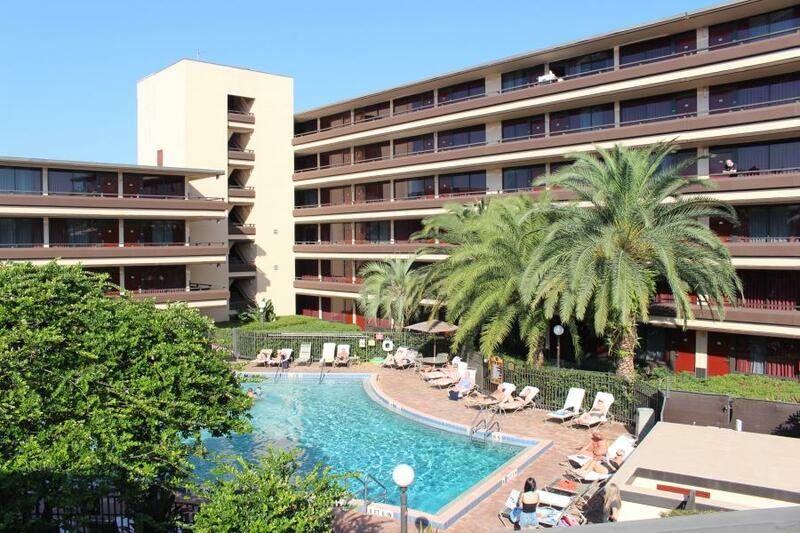 Less than 15 minutes from Universal Orlando Resort, SeaWorld, and Walt Disney World. 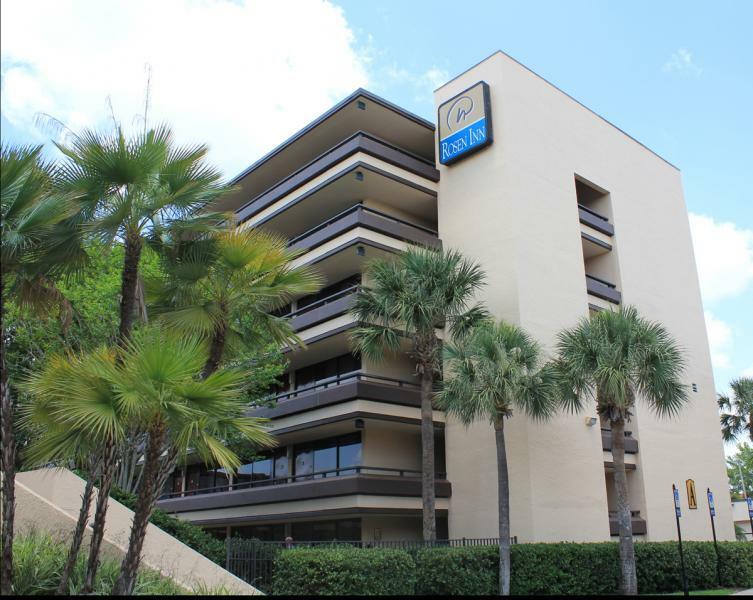 Rosen Inn at Pointe Orlando sits on International Drive and across the street from Pointe Orlando shopping and entertainment centre. 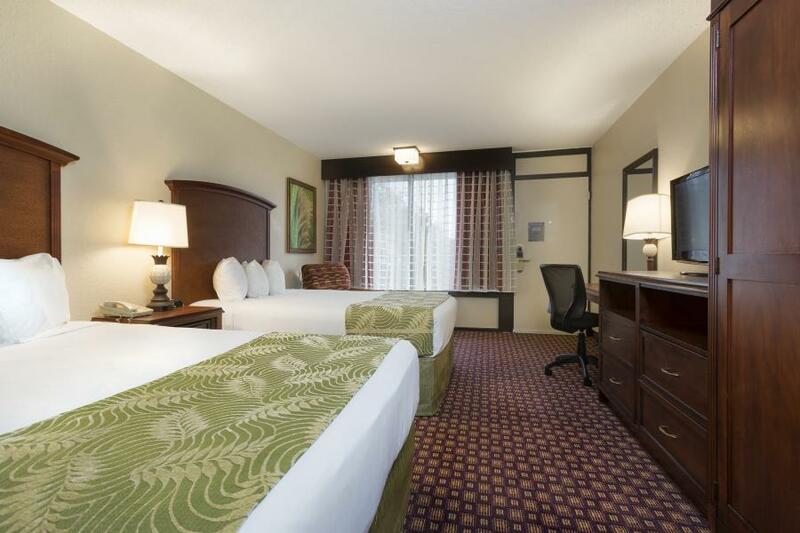 This large and family-friendly hotel combines a plethora of on-site facilities, tasty dining and stylish guest rooms with easy access to Orlando's many famous attractions. 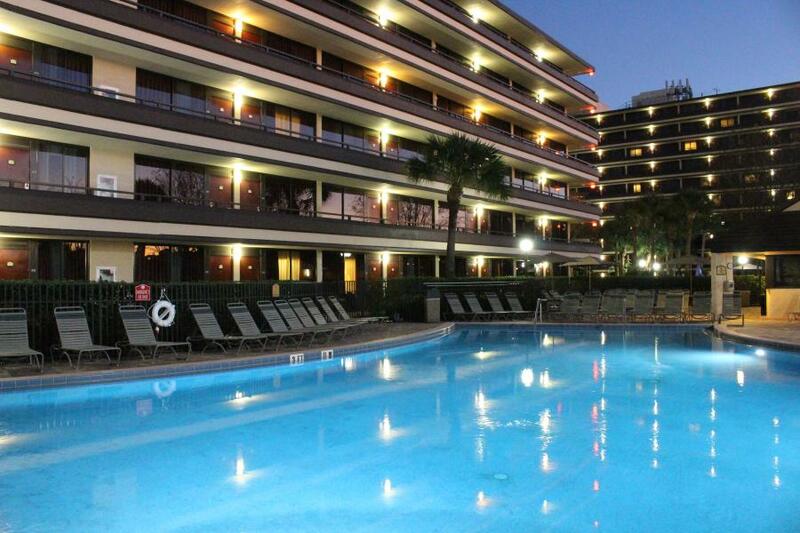 Spend your day sunbathing by the trio of pools or get active by swimming a few laps. 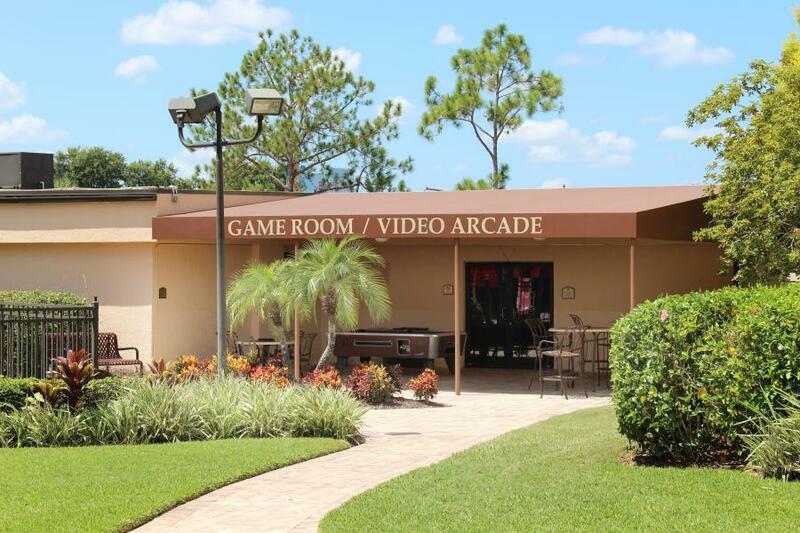 The children will have hours of fun on the playground and the video games room is a favourite with older guests. Step outside the hotel and you're just minutes from amazing shopping or you can hop on the complimentary shuttle service to enjoy family time at the nearby theme parks. The guest accommodation features classic styling and a wealth of modern amenities. You can watch the Disney Channel and premium movies on the 32-inch HDTV or brew yourself a cup of coffee in the kitchen area. The air-conditioning and comfy beds ensure a restful night's sleep too. The on-site eateries tempt your tastebuds with a host of tasty treats - from all-you-can-eat buffets and freshly-cooked pizzas and burgers, to food-on-the-go from the deli and late-night bar snacks. No visit to the hotel would be complete without sampling the speciality Alligator Drool micro-brew. 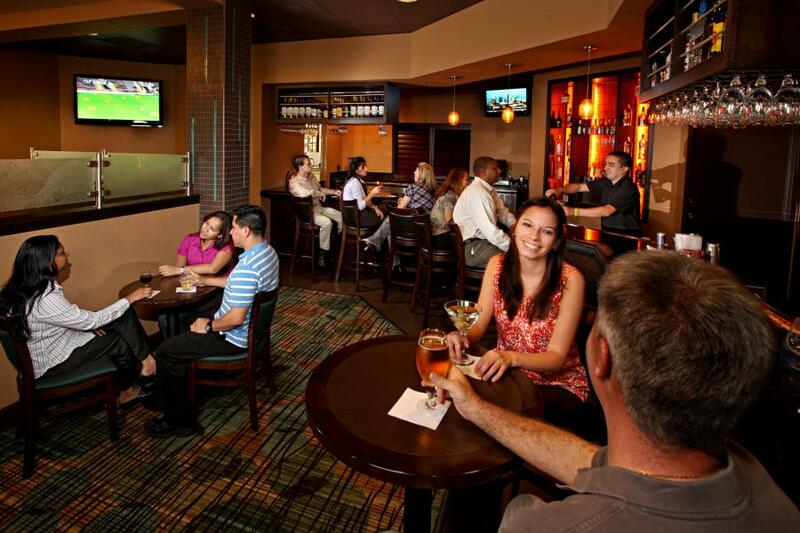 Karaoke and live music in the bar brings your day to a close in style. 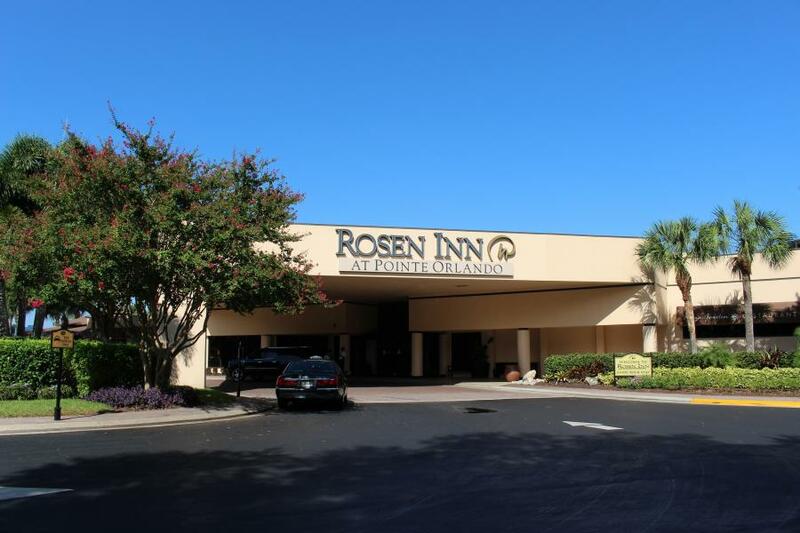 Rosen Inn at Pointe Orlando has a host of facilities, including three outdoor swimming pools, two restaurants, coffee bar, mini-market and deli, video games room, children's playground, self-service laundry, dry cleaning services, and 24-hour security. The concierge can arrange attraction tickets, restaurant reservations, car hire, babysitting, and transport. Complimentary services include children under 18 stay free, Wi-Fi in guest rooms and public areas, parking with gated entrance, transport to Rosen Shingle Creek Golf Club, and scheduled shuttles to Universal Orlando Resorts Wet 'n Wild, SeaWorld and Aquatica. Visit Plaza Garden Restaurant for casual, buffet-style dishes at breakfast and dinner, with speciality pizzas, signature Mickey Mouse waffles and the evening ice cream bar to add to the culinary delights. Relax with your favourite Starbucks coffee, pastries, freshly-squeezed orange juice or a freshly-made fruit smoothie, and browse for books and souvenirs in Smooth Java Coffee Bar & Gifts. 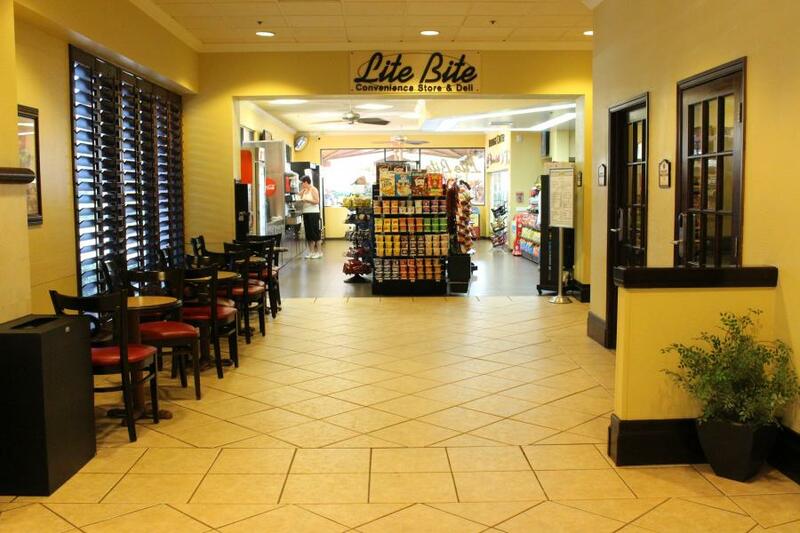 Lite Bar Mini-Market & Deli is open round-the-clock for sandwiches, soups, and snacks. From mid-afternoon you can tuck into tasty, grilled fare, freshly-cooked pizzas and burgers, and drinks at Zebra's Sports Bar & Grille. Evenings here bring occasional Karaoke nights and also late-night bar food selections to eat in or take away. Start the morning with a few laps of the swimming pool. Tots to teens can have fun in the children's playground and the video games room. If you fancy a few hours on the fairways, complimentary transport and reserved tee times are available for Rosen Shingle Creek Golf Club. The complimentary shuttle service will whisk you to Universal Orlando Resorts Wet 'n Wild, SeaWorld, and Aquatica in minutes. 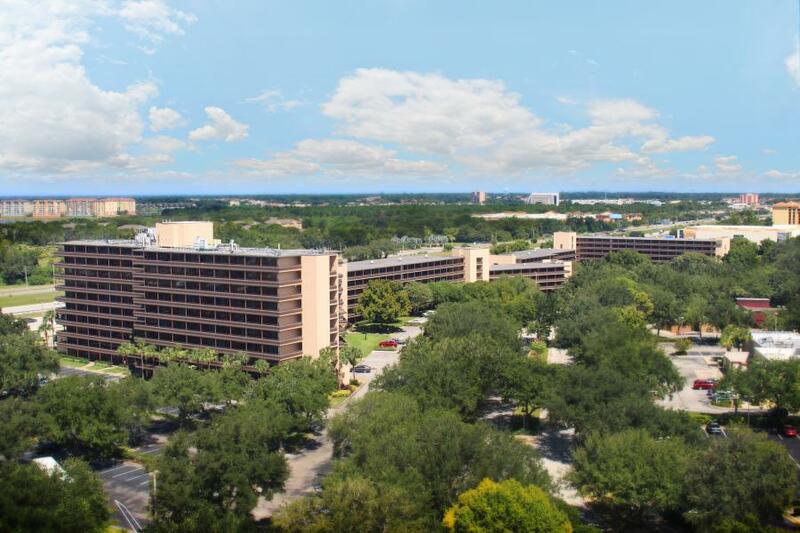 Over the street at Pointe Orlando, you'll find an IMAX cinema, comedy club, performing arts centre and a music club and a wide selection of shops. For the ultimate in retail therapy, Premium Outlet (Vineland Road), Orlando Premium Outlets, and Lake Buena Vista Factory Store are easily accessible too. 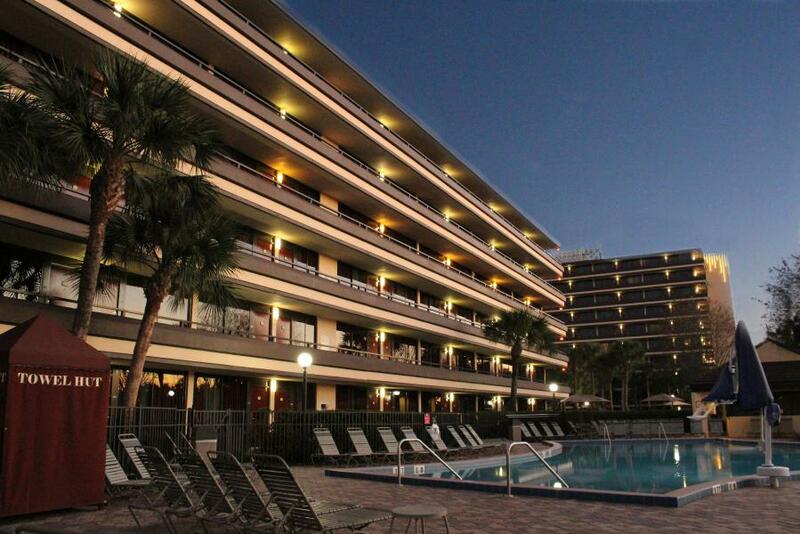 Rosen Inn at Pointe Orlando has a total of 1,020 guest rooms located in six high-rise buildings. 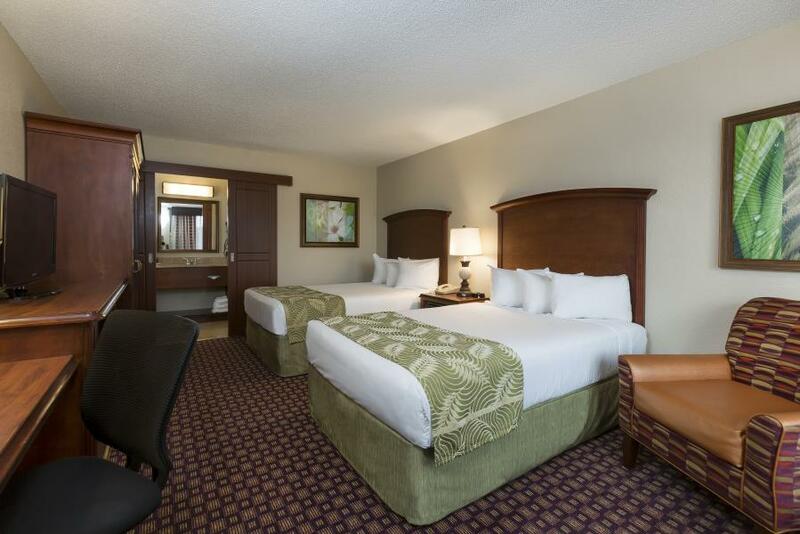 In-room features include two double beds or one king-size bed, bathroom with hairdryer, individually controlled air-conditioning and heating, and 32-inch HDTV with Disney and premium movie channels. There is also a fridge, microwave, coffee maker, iron and ironing board, radio clock alarm, telephone with voicemail and complimentary local and 1-800 phone calls, and a laptop-size electronic safe. Guide price is per person. Based on 4 people sharing for 14 nights on Room Only. Flying from regional airports. Year round departures. All overseas transfers available.